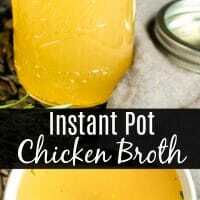 How to Make Chicken Broth in an Instant Pot - Home. Made. Interest. 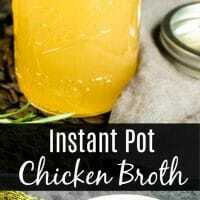 This easy Instant Pot Chicken Broth was one of the first things I made when I got my Instant Pot. I use chicken broth in so many recipes, and I love making homemade chicken broth but I never seem to have time to do it right. With the Instant Pot I’m able to get that ful, rich, homemade chicken broth flavor in under an hour! 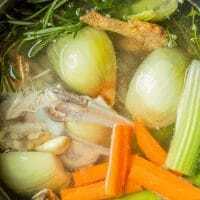 Can You Make Chicken Broth in a Pressure Cooker? Yes! 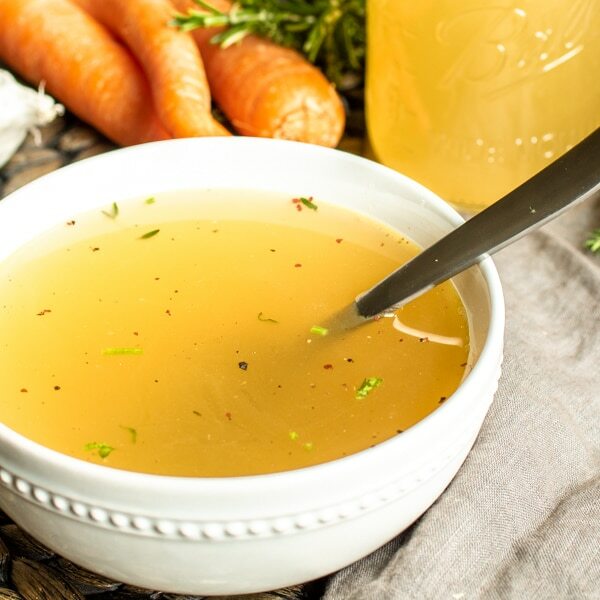 A pressure cooker cooks all of your chicken, vegetables, and herbs together under high pressure so instead of simmering a big pot for hours you have delicious chicken stock in a little less than an hour. What is in Chicken Broth? 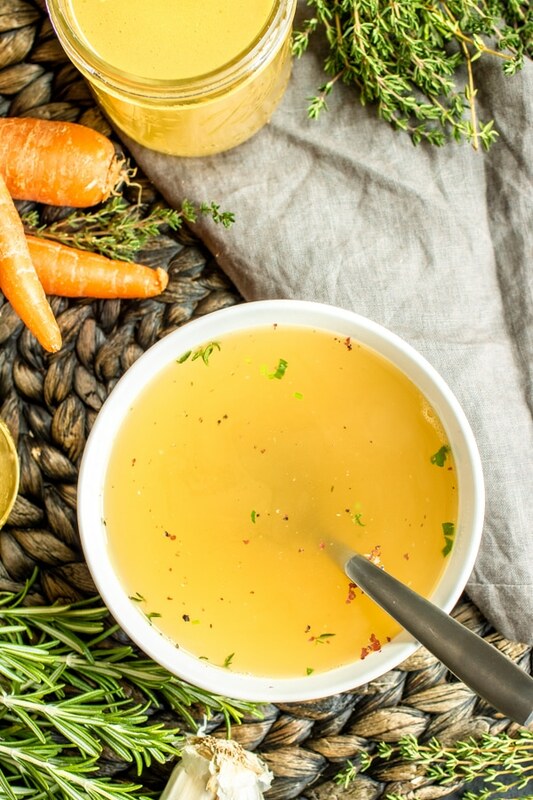 Chicken broth is a simple mix of carrots, celery, onion, garlic, bay leaves, thyme, rosemary, salt, and pepper cooked together with chicken. 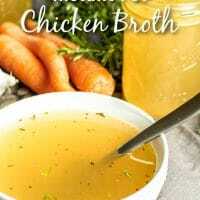 What Parts of the Chicken Should I Use for my Broth? You can use any part of the chicken to make your stock, or a combination of a few different parts. A whole chicken takes up a lot of room in an Instant Pot (I use a 6 quart) so if you would like to use fresh chicken I suggest using the pieces instead. Can I Make Chicken Broth with a Rotisserie Chicken? Yes! I love picking up a rotisserie chicken for dinner during the week and then using the leftovers to make my broth. That’s what I did in my recipe below but feel free to use any of the parts above if you prefer (you will put them into the pot uncooked). How Long Do You Pressure Cook Chicken Broth? 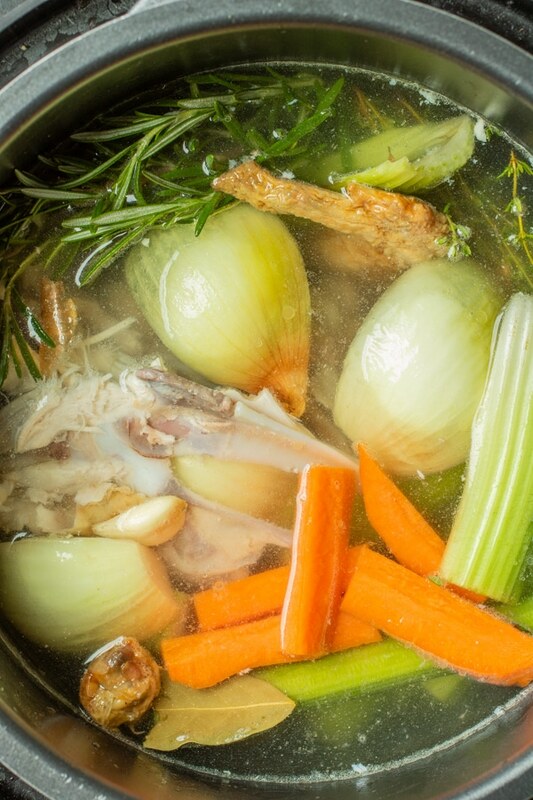 To cook chicken broth set it to HIGH pressure for 30 minutes, then do a 15 minute natural release. When the chicken broth has finished cooking and the pressure has been released remove the lid and let it cool a bit before pouring it through a fine mesh strainer over a big bowl (make sure it is big enough to catch all of the broth!). The vegetables and herbs are discarded. If you used chicken parts with meat on them you can pull the meat off of the bones before discarding the bones. 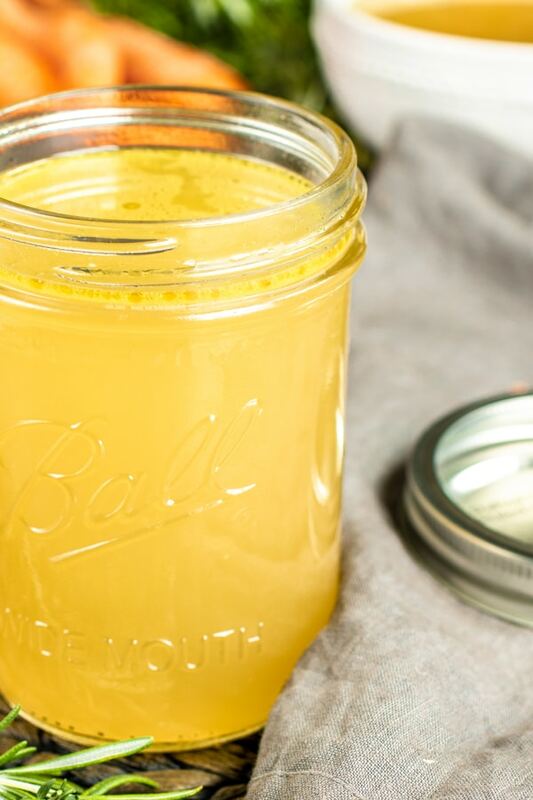 How Long Can You Store Homemade Chicken Broth? You can store your chicken broth in a sealed container in the refrigerator for up to 4 days. You can store chicken broth in the freezer for up to 6 months. If possible separate the broth into 1 cup portions and freeze in sealed containers. This will make it easier to remove and defrost only as much broth as you need. Like this recipe? Pin it to your Instant Pot Recipes board! 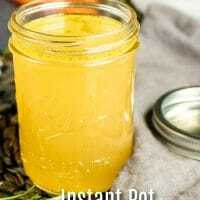 Place all ingredients in your Instant Pot and fill the pot with water until it reaches just below the max fill line. Lock the Instant Pot lid in place, turn the valve on top to SEALING and set your Instant Pot to HIGH pressure for 30 minutes. When the timer goes off press CANCEL and then let it do a natural release for 15 minutes. After 15 minutes flip the valve to VENTING to let out any remaining steam and remove the lid. Pour the broth through a fine mesh strainer into a bowl (you can wait until the broth cools some if you like) to strain out the chicken bones, vegetables, and herbs. Store in a sealed container in the refrigerator until ready to use, or freeze in a sealed container for up to 6 months.